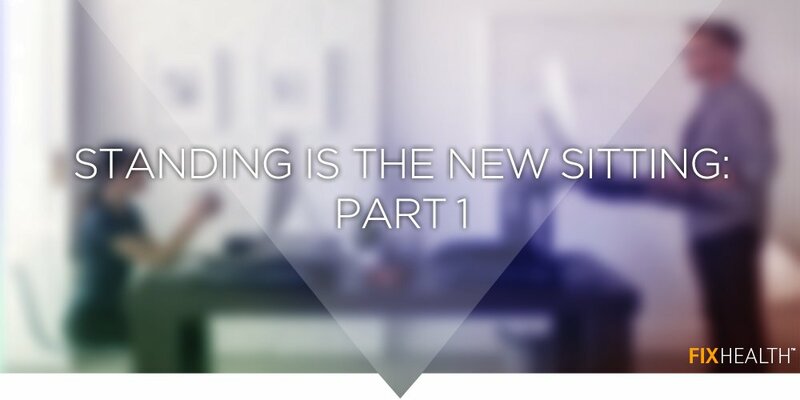 The standing-desk industry is thriving. Health-conscious go-getters are converting their standard desks into standing desks with 3rd party add-ons. Some are bringing in entirely new (and pricey) units which can convert from standing to sitting with the touch of a button. And why not? Clearly, standing during the day has to be healthier than sitting, right? Several recent studies cast doubt on the health benefits of standing during work, and some data even signals that frequent prolonged standing may even be detrimental. “The idea you should be standing four hours a day? There’s no real evidence for that,” [Dr. Jos Verbeek] says. “I would say that there’s evidence that standing can be bad for your health.” A 2005 study in Denmark showed prolonged standing at work led to a higher hospitalization risk for enlarged veins. But surely all that standing will help you lose weight, right? We wish that were true. More on that next week in Standing Is The New Sitting Part 2. In the meantime, the one thing that is universally agreed upon is that walking is one of the healthiest habits that a human can have. Learn how to bring walking challenges to your staff at https://www.astepaheadchallenge.com! Should I sit or stand at work: This conversation is a luxury to millions of workers whose jobs require that they stand all day. If you or your staff stands for a large amount of time, use an anti-fatigue mat to absorb the impact.